Queelister's Place: July Mingle Received! Yeah! My July mingle card final came in the mail today from Pat Jaynes. Thank you, thank you, thank you, I think you all would agree that this card is very beautiful. I love the soft colors and the coloring. She is beautiful! Everything is just perfect. What pretty colors! 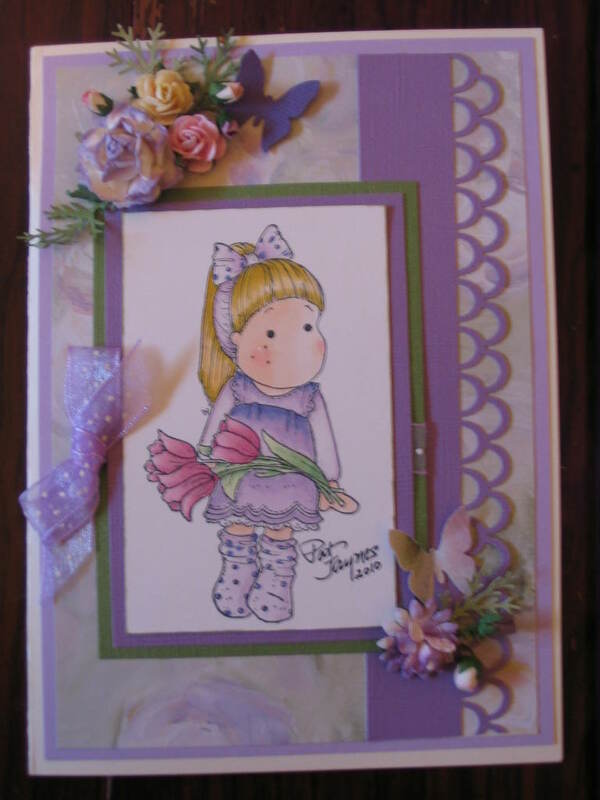 Shelly K.
What a pretty card. I love lavender!